If you wish to practise a South African accent, the best sample sentence is, without doubt, "Turn right at the robot, my friend". Robot is a bit of a surprise for a foreigner, and it took me a worried while to realise that robot is just South African for traffic light. We, of course, changed the name to traffic lights. But in South Africa they merely shortened it to robot. So, rolling all your Rs: "Turn right at the robot, my friend." I always wondered why they were called robots here. Thanks for the information. 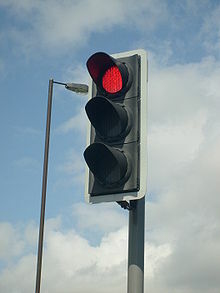 I insist on calling them traffic lights; robot never really made sense to me. As you say, foreigners can get quite confused, whereas with traffic light even the locals know what you mean. 'Practice' is a noun in British English, not a verb. By the way, you haven't answered my email or worked out the South African riddle I gave you. Who was the first South African President to be black? C R Swart - 'swart' in Afrikaans means 'black', and his nickname was 'Blackie' - irnic for a head of state in a white minority regime, but that's history. Sorry for spelling and lack of replies. Cool beans. I'll drop you an email just now.